While hiking is generally a simple activity, it becomes more difficult to hike in winter due to low temperatures and potentially hazardous conditions on the trails. Nevertheless, if you take some precautions, winter hiking in a blistering white landscape can be a great experience. 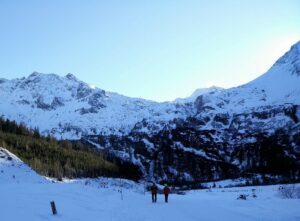 In the following we’ll give you some tips on winter hiking to make your snowy adventures successful and enjoyable. However, if you are new to hiking, hitting the trails in the midst of winter might not be the best idea – depending on the conditions and weather. 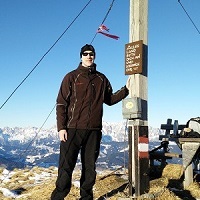 Hiking on snowy trails doesn’t only require better fitness level, but also additional gear which is typically expensive. Furthermore, if you are planning to hike at higher altitudes, you will also need mountaineering skills to properly use crampons and an ice axe. 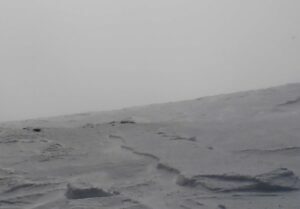 Weather in winter can get really bad (snow, strong winds, low visibility etc.) and therefore you always need to study the weather forecast before going on a hike. In case of bad weather, you should postpone the hike, especially if you have little or no experience with winter hiking. Checking the weather forecast will also allow you to layer up properly according to the forecasted temperatures and wind speed. Is the trail covered with snow? Is the snow soft and deep or firm and icy? What is the avalanche danger rating? If the trail is covered with snow, you might have to bring additional gear such as gaiters, crampons, ice axe and snowshoes. They might make a world of difference when it comes to your comfort and security. Gaiters are very useful for hiking on snowy trails because they prevent snow from entering your boots. 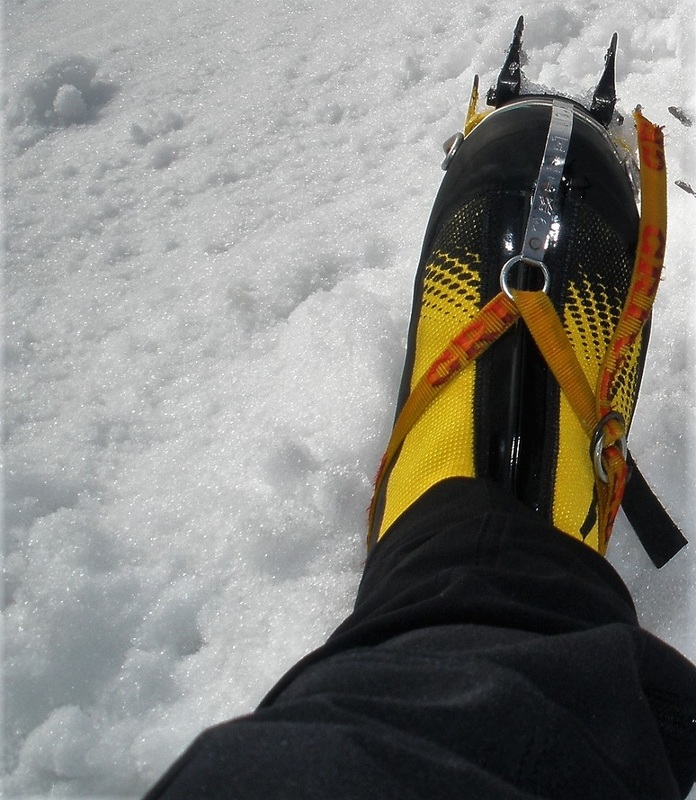 In case of soft and deep snow you’ll need snowshoes for flotation (it’s no fun to trudge through two feet deep snow all day) while firm and icy snow requires you to wear crampons for traction. Whenever you are hiking on icy terrain you should always also use an ice axe because you will need it to arrest a potential fall. If the terrain is steep you should check the avalanche danger rating – if it is acute, you should of course postpone the hike, regardless of your stock of gear. To learn more about winter hiking gear, also check out our article Winter Hiking Gear: How to use crampons, ice axes and gaiters. For winter hiking, you should layer your upper body clothing to be able to regulate your body temperature (by stripping off or adding garments). We recommend wearing a base layer, fleece jacket (insulating mid layer) and a down jacket or jacket with synthetic insulation (insulating and protective outer layer). All garments should be quick-drying as wet clothes conduct heat much faster than dry clothes. Therefore, you quickly get cold if your clothes are wet. The insulation layer should also be light for the warmth it provides (weight-to-warmth ratio) because heavy clothing puts extra strain on your muscles and thus slows you down. For the lower body we recommend wearing softshell pants because they provide insulation as well as protection against wind and snow. You should also wear a hat, gloves and a pair of warm socks. To learn more about how to properly dress yourself in layers for hiking, check out our article What to wear for hiking. While there is nothing more comfortable for easy summer hikes than a pair of lightweight trekking shoes, winter hiking requires different footwear. In this season you should wear a pair of high-cut waterproof/breathable boots which will prevent snow from entering and keep your feet dry and warm. If the trip requires crampons or snowshoes, the hiking boots should also have semi-rigid soles so that the tool doesn’t get detached by accident. In very cold weather you might have to wear insulated boots for extra warmth. Check out our review of the Best Backpacking Boots, that includes great boots for winter hiking – they are waterproof/breathable and have semi-rigid soles for use with crampons or snowshoes. While you will probably bring a GPS device (handheld GPS device, GPS watch or simply a Smartphone), especially if you are hiking in unfamiliar areas, we do not recommend relying on it solely. As a lightweight backup option, you should bring a compass and an appropriate map – and of course also know how to use them. You can also download GPS track for your hike or simply create one and the GPS device will guide you along the trail. To learn more about GPS tracks, check out our article What are GPS tracks and how to use them. While you might need less water in winter due to the lower temperature and consequently lower sweat rate, it’s vital that you are sufficiently hydrated. Researches estimate that if one loses 5% of his body weight in fluid, the performance is reduced for no less than 30%. In winter weather it might not be pleasant to drink cold water (in very low temperatures the water will also freeze eventually) and it is therefore recommended to bring some warm tea in an insulated bottle. On multiday trips you might also want to bring a lightweight portable stove which will allow you to melt snow for drinking water etc. The weather can change very quickly and if you encounter heavy snow fall, low visibility or strong winds it might be smart to turn around – especially if you didn’t anticipate such conditions. 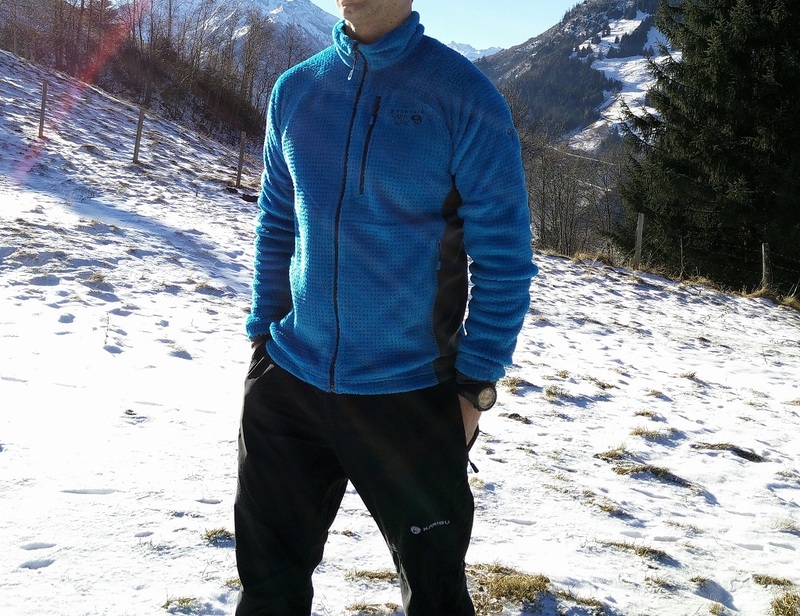 On snowy trails you also get exhausted faster (due to deep snow, slippery surface etc.) and in some cases, it’s smarter to turn around than continue – keep in mind that getting to the top is just half the journey. Even though you checked the conditions on the trail before going, they might have changed since. 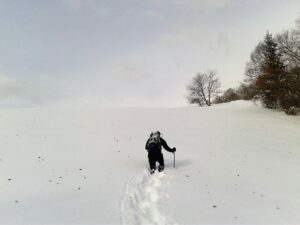 You could for example have read reports of soft deep snow and brought snowshoes – only to be met with hard packed slippery snow, requiring crampons. It might feel stupid to turn around but remember that it is even sillier and potentially dangerous to continue without appropriate gear in harsh winter conditions.